Nancy Lee, RN, MSN, NEA-BC joined CHLA as senior vice president and chief clinical officer (CCO) in July 2016 and is responsible for providing direction and oversight for all clinical services and operations including inpatient and outpatient nursing, clinical laboratory and anatomic pathology, pharmacy, radiology, rehabilitation services, occupational, physical and speech therapy, audiology, respiratory therapy, social work, spiritual care services, language and cultural services, nutrition, clinical education and professional development, patient and family education and diversity services. Previous to joining CHLA, Nancy served as chief nursing officer and vice president of Patient Care Services for Stanford Hospital and Clinics. There she oversaw the Division of Patient Care Services and was accountable for sustaining the highest standards of nursing practice, care and service delivery throughout the organization. Additionally, she was responsible for the nursing research program, earning Magnet designation and transformation of the delivery of clinical care to improve the patient care experience while providing excellent clinical and financial outcomes. Previous to her most recent role at Stanford, Nancy served as vice president of Transformation, with responsibility for the implementation of strategic, enterprise-wide initiatives involving electronic health records and patient volumes and throughput. As vice president of Clinical Services, she led operations and business services between the Stanford School of Medicine and Stanford Hospitals and Clinics. 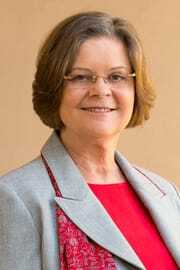 Prior to her time at Stanford, Nancy served first as chief nursing officer and then as chief operating officer for the Daniel Freeman Hospitals. Before joining Daniel Freeman, she served in multiple roles at Long Beach Memorial Medical Center and Miller Children’s Hospital Long Beach. Nancy received a bachelor’s of science in nursing and a master’s in nursing administration from California State University, Dominguez Hills.